Are you excited to see the second installment of the hit Guardians of the Galaxy, Vol 2? Well I sure am! The characters are great the movie makes you laugh makes you feel for the characters and you just can’t go wrong with the amazing soundtrack. Guardians of the Galaxy, Vol 2. is in theaters May 5, 2017! This past weekend I wanted to whip something up that my family love and put a Guardians of the Galaxy twist on it and we came up with a super yummy and super easy recipe for all of the fudge lovers out there. This amazingly simple Galactic Fudge recipe only has three ingredients. Yes just 3! (You can also choose to use one full size bag of chocolate chips, and opt out of the Sno Caps and just use some white nonpareils candy topping for the starry look) You can choose just about any flavor frosting, whatever you think would work best with chocolate chips. You can also choose what chocolate chips you like, semi-sweet, milk chocolate or dark all work well with this recipe. Take ¾ of the bag of chips and a handful of Sno Caps and empty into a microwave save bowl and cook for 30 seconds, then stir and continue to cook for 15 second intervals until all of the chocolate chips are melted. Mix frosting and melted chips together well. Spread mixture in a 9/8 tin foil lined cooking dish and chill for about an hour. After the hour is up cut up and serve and enjoy! I loved these starry fudgy yummy fudge, you could really taste the rich Sno Cap flavor it brought me back to the theater, and felt like I was snacking on one if my favorite candy’s. My daughter and I had a fun time getting together this fun treat, and we had just as much fun trying this out while we enjoyed watching Guardians of the Galaxy that just happened to be on TV that night, what great timing! 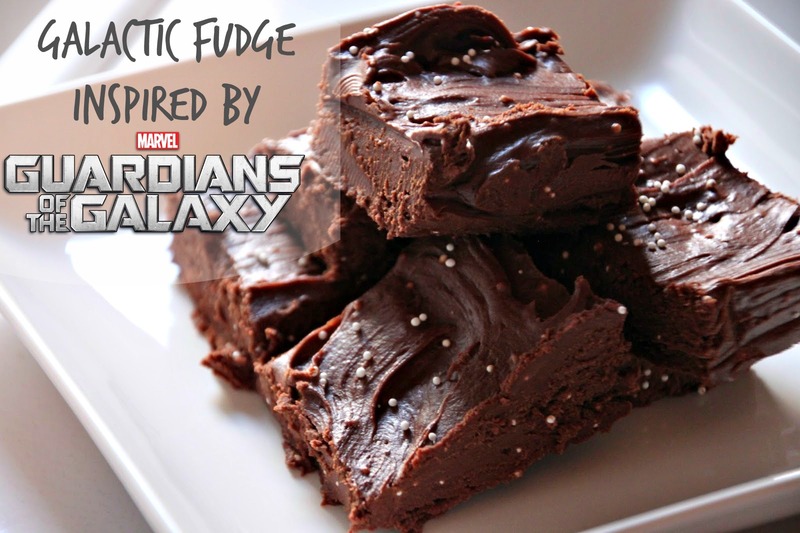 Would you like to make this Galactic Fudge inspired by Guardians of the Galaxy, Vol 2? I am sure you will love it! Check out this awesome Guardians of the Galaxy, Vol 2 trailers! This looks like amazing fudge!!! My kids are so excited for the new movie, we loved the first one! This looks yummy. You've combined three of my favorite things. Yum! What a fun treat and love that it coordinates with the movies, would be great to surprise the kids. YES! That fudge looks so good. I'm bookmarking this now, so I can make it this weekend and then make it some more when Guardians of the Galaxy Vol. 2 hits Blu-Ray. yay! The fudge looks so good. I'm totally wanting some right now! It'll be perfect to eat when we watch Guardians of the Galaxy 2. This fudge looks out of this world. Lol. That was cheesy! But no really it looks excellent! My grandson's would love this, because of the name and because it looks delicious! This is the most amazing looking fudge I have ever seen! 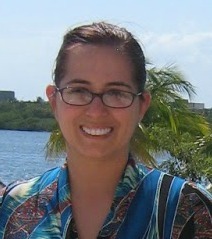 I love that it is so easy too! These look so delicious!! I'd love to make this for my grandsons to enjoy! I love fudge and this fudge recipe looks so yummy. This about the easiest recipe for fudge that I have ever seen. I can't wait to make it. I just have to make this.. It looks so so good..
We are always looking for different treats to prepare the grandkids...and me!!! I am not big on sweets but these look amazing and one that I have to make and soon thanks for sharing this one. I would definitely would love to try the Galactic Fudge inspired by Guardians of the Galaxy 2. I think it is a great dessert, of which it's on my menu later in the weekend. Wow, just 3 ingredients, that's what I call easy. Can't wait to try, thanks for sharing. This looks like a delicious fudge recipe. I have a box of Sno Caps laying around so I will have to whip these up! I didn't realize you could make fudge using different ingredients other than the old fashioned recipes! I think some experimenting is needed now & eating each one of course. We love fudge here but the only fudge we knew how to make was the kraft fantasy fudge which is awesome). I'd like to try this out for the kids. YOu can never have too much fudge! this recipe looks amazing! OMG! This look's so amazing. The whole family would go nuts over this.. I love fudge so I will definitely be trying this recipe, it sounds delicious. We love fudge and Snow Caps so the two together must be a winner! We absolutely love Guardians of the Galaxy!! This fudge looks just as awesome!! Thanks for sharing! We loved (and own) both movies! This brownie recipe looks awesome. We will definitely have to try it! I pinned it so I don't lose it! Hahaha! This looks great!! I have to make these for my Son-in-Law. He's a Guardians of the Galaxy fan. I love fudge but I'm not that great in the kitchen. But I thunk I can do this! The Sno Caps is an amazing idea. I'm going to have to try this one with the little one. Are you kidding? This is amazing. I am obsessed over sno-caps. This is perfect for our movie night. Thank you for sharing.